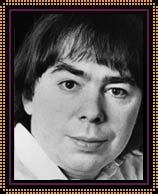 Lloyd Webber was born in London on March 22, 1948. His father was a faculty member at the Royal College of Music and his mother was a piano teacher. Andrew showed musical aptitude at a very young age, and, while still a youth, composed short musical entertainments for his family. His first musical was “Joseph and the Amazing Technicolor Dreamcoat” (1967). With lyricist Tim Rice, Lloyd Webber created an eclectic score to accompany the Old Testament story of Joseph and his brothers. Musical numbers ranged in style from Elvis-style rock to calypso and soft rock ballads. Joseph’s two big songs, “Any Dream Will Do” and “Close Every Door,” became hit singles. “Jesus Christ Superstar” (1971), another collaboration with Rice, began life as a double album. Concert tours of the “rock opera” followed, and ultimately, a stage version emerged. “Superstar,” the story of the crucifixion of Jesus Christ as seen through the eyes of Pontius Pilate, garnered seven Tony Awards, including Best Musical and Best Score. Mary Magdalene’s song “I Don’t Know How to Love Him” became a pop standard. The 1973 film version starred Ted Neeley and Carl Anderson. “Evita” (1974), based on the life of Eva Peron, also began as a concept album. Patti LuPone and Mandy Patinkin starred in the Broadway version. The show received numerous Tony Awards, including Best Actress (LuPone). For the 1996 film which starred Madonna and Antonio Banderas, Lloyd Webber wrote a new song, “You Must Love Me.” The song earned an Academy Award for the composer. “Cats” (1981), based on T. S. Eliot’s Old Possum’s Book of Practical “Cats,” is Lloyd Webber’s longest-running show in both London’s West End and on Broadway. … Like “Joseph and the Amazing Technicolor Dreamcoat,” “Cats” contains songs written in a variety of musical styles. “Memory,” the show’s climactic number, is a sentimental ballad, which has been championed by singers Elaine Paige and Barbra Streisand, among others. “Song and Dance” (1982) consisted of two parts: “Tell Me on a Sunday,” a one-woman show, and “Variations,” a set of variations on Paganini’s famous caprice for cello and rock band. Variations was written for Andrew’s cello-playing brother Julian. “Starlight Express” (1984), a train epic with music, followed. The cast of the high-tech fantasy dash around the ramp-enhanced theater on roller skates. Rock, blues, and country elements are apparent in the amplified score. A 90-minute version of “Starlight Express” opened in 1993 at the Las Vegas Hilton, the first major legitimate stage production to play in the famed gambling city. “The Phantom of the Opera” (1986) is perhaps Lloyd Webber’s best-known work. Based on Gaston Leroux’s novel, the musical included the songs “Music of the Night,” “All I Ask of You,” “The Phantom of the Opera,” and “Think of Me.” Michael Crawford and Sarah Brightman, then Lloyd Webber’s wife, starred in the original production. 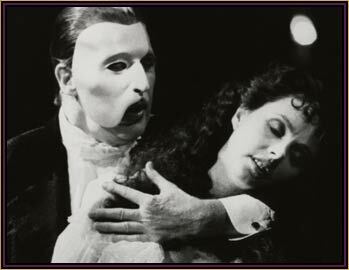 “Phantom” is indicative of a trend in the late 1980s toward a “sung-through” musical — one in which spoken dialogue is limited and often replaced by operatic recitative (speech-singing). The lavish sets, impressive special effects, and hauntingly beautiful musical score have made the show one of the most popular musicals worldwide. His first musical was “Joseph and the Amazing Technicolor Dreamcoat. “Aspects of Love” (1989) launched the career of its male lead, Michael Ball. The sung-through musical was an adaptation of David Garnett’s tale of intergenerational love and included the ballad “Love Changes Everything.” The show played for over three years in London, but its 1990 Broadway run lasted only 377 performances. “Sunset Boulevard” (1993), based on the film of the same name, included some spectacularly romantic music. Two songs, “With One Look” and “As if We Never Said Goodbye,” both of which are sung by the lead character Norma Desmond, have entered the repertories of singers as diverse as Kiri TeKenawa and Barbra Streisand. As with “The Phantom of the Opera,” “Sunset Boulevard” includes elaborate and impressive sets. John Napier’s grandiose staircase is as much a character in the musical as are any of the humans. The London production starred Patti LuPone, while the Los Angeles and New York productions featured Glenn Close. Betty Buckley succeeded both LuPone and Close in their respective runs. With his impressive array of commercially and artistically successful shows, Lloyd Webber is one of the most important composers for the musical theater in the last decades of the 20th century. Both his innate gift for melody and his ability to create music, which live up to the dazzling special effects characteristic of so many of his shows, have contributed immensely to his worldwide success.